You’re hopelessly in love, and you’re ready to get down on one knee to ask your partner to spend the rest of their life with you. But how exactly should you do it? 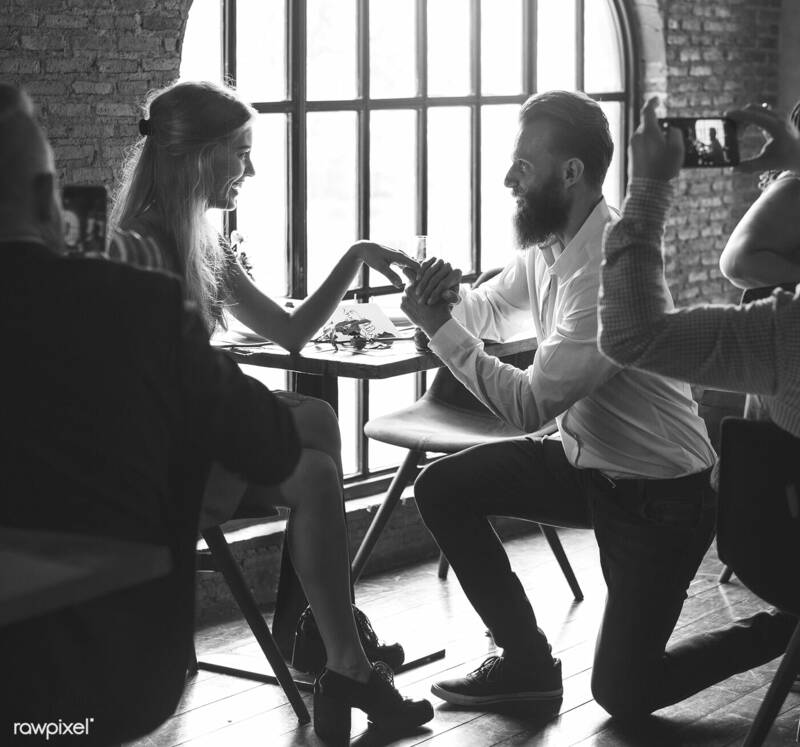 There are a list of things that you should consider that you can find in our Ultimate Proposal Checklist for Men & Women. But skipping ahead to the fun part, what are the various ways you can do it? Before we go into it further, we’ll start off with the basics. With each and every person, there will be a different preference for whether they would want their engagement to be a big, public affair - or whether they would want it to be small and private. We would say that the best bet is usually to go quiet and romantic. Not only does this give both of you privacy and being able to share this special moment in each other’s presence, but it will likely make you feel less nervous, and for both of you to not have to think about being a bit more conservative about your emotions. There’s also less chance of external factors impacting this once in a lifetime event. However, if you know your partner thrives on a public affair, then each to their own! Popular spots include beaches, parks, restaurants, or even the top of iconic buildings & landmarks. For many people, this is an easy one. Think about the most significant place to you and your partner that will always bring up feelings of nostalgia and longing. Maybe it was the place you first met or even your favourite country or town that holds special significance to you both. We’d say there’s nothing quite like showing that you remember a special place, and creating an even more special moment there too! As aforementioned, you may choose to go to a place that you both love, or perhaps you’d even want to go to a place that both of you long to travel to. The benefit of this is that you’re unsuspecting partner will likely be too distracted by the views to start suspecting that something else is about to happen! Maybe you love hiking, nature photography, going on a picnic, watching plays or going out exploring the city together. 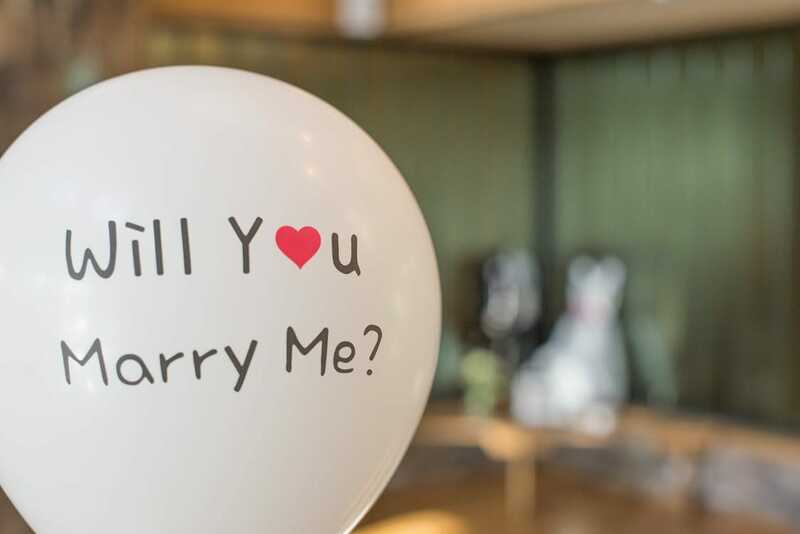 Whatever it is, you can incorporate a proposal into something that you love to do together. Not only will it not be ‘out of character’, it is a reinforcer of why you would both be perfect life partners too. Again, depending on what you know about your partner and whether they deeply care about their family and friends, or whether they’d want it to be a more private moment - you can choose to involve your family & friends too. This doesn’t necessarily meaning popping the question at the dinner table - but possibly getting them involved along the process. This may be them helping plan the proposal, possibly hiding in the background and keeping away people from straying into your moment, and even helping to choose the ring. If you know your partner wouldn’t want them there in the moment, but would love to see them afterwards, you could always plan a dinner afterwards to celebrate the good news. Do they love solving puzzles? You could create a scavenger hunt or even an ‘escape room’ type of moment out of something that they would love. This may be Disney themed, it might be a bunch of puzzles surrounding significant moments in your life or something different. By solving the puzzle, it will lead to you getting down on one knee! 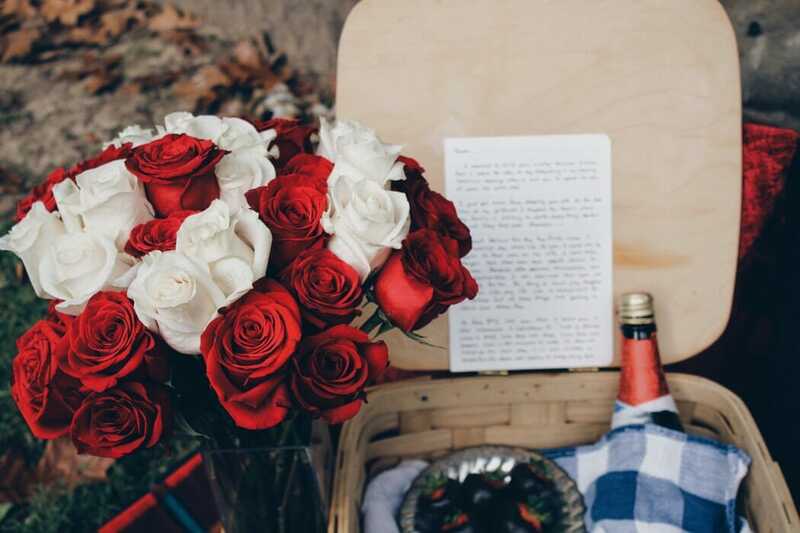 If they love reading, you may want to write in a book the reasons that you love them - and finish off with a sweet note asking for their hand in marriage. Do they like crosswords? Create one specifically for them that spells out, ‘Will you marry me?’. Do they like cooking or baking? Maybe clear out an egg and replace it with a ring. We’ve heard of a story where a person hired a graffiti artist to create a mural with a paint that only showed up in flash photography - and that mural said, ‘will you marry me?’. As the man loved taking photos of graffiti, it wasn’t unusual that after dinner he asked if she’d come with him to take a photo. He snapped a photo of her in front of that specially made mural, and you can guess what happened next! 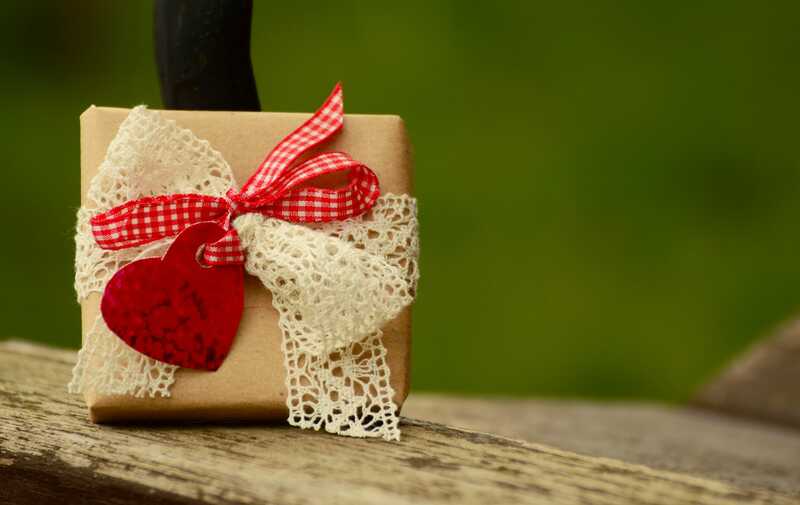 If it’s a birthday, Christmas or a similar occasion, you can hide the ring box inside a series of bigger boxes, so that he or she will assume it’s a bigger present. Everyone will find it super funny until the last box, where you’ll get down on one knee to say the magic words! If you don’t have an engagement ring, notably one of the most important parts of a proposal, then check out GoldeNet’s range of beautiful, customisable engagement rings today! Visit us in our Brighton showroom or call us on 1300 361 873 for more information!